60% of small businesses close their doors within 6 months of a data breach! Only 3% of small businesses carry Cyber-Security Insurance! Don't be a victim...but if you are...be insured! Technology, social media and transactions over the Internet play key roles in how most organizations conduct business and reach out to prospective customers today. Those vehicles also serve as gateways to cyberattacks. 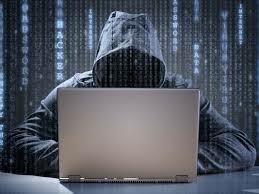 Whether launched by run-of-the-mill hackers, criminals, insiders or even nation states, cyberattacks are likely to occur and can cause moderate to severe losses for organizations large and small. Transferring risk is where cyber insurance comes into play. A cyber insurance policy is designed to help an organization mitigate risk exposure by offsetting costs involved with recovery after a cyber-related security breach or similar event. Does your business need Cyber-Security Insurance? Use mobile technology (smartphones, tablets, laptops, PC)? Engage external partners or vendors? Accept credit cards or other online forms of payment? Store confidential customer, partner, or other digital information? Your business is vulnerable to a Cyber-Security breach!